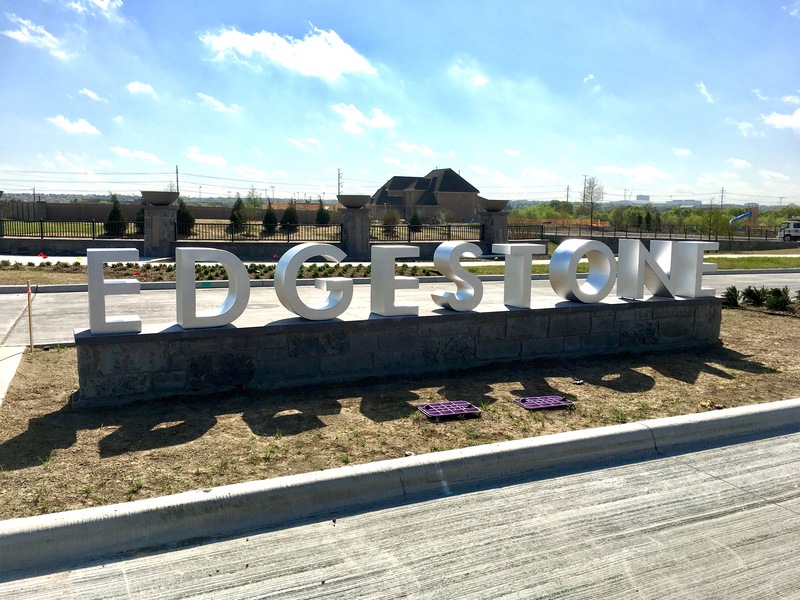 Edgestone at Legacy in Frisco will soon have the latest and greatest from Highland Homes & Shaddock Homes! 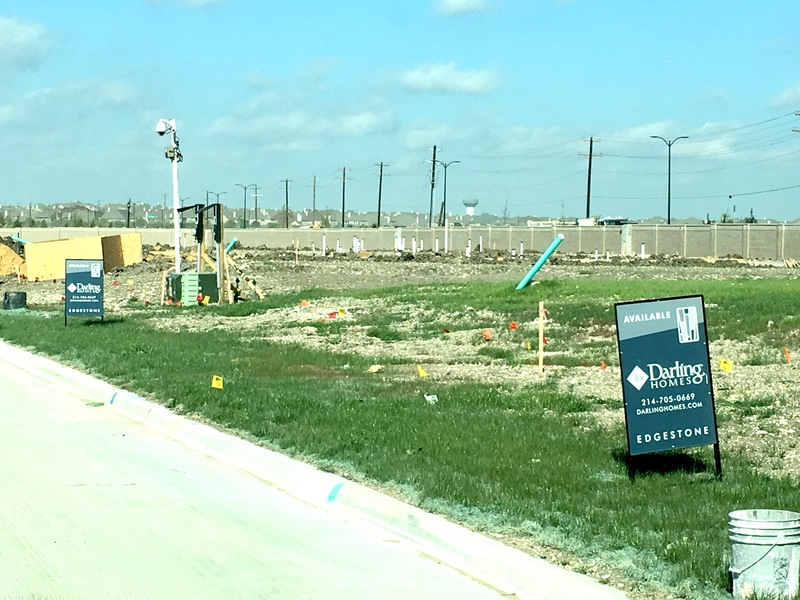 With a perfect location in Frisco, TX, on the corner of Stonebrook and Legacy, seconds from the Dallas North Tollway, Edgestone will no doubt be a highly sought after community! With this kind of “gotta have” place to live, it is no wonder why two of their builders, Highland Homes & Shaddock Homes, are both bringing their “A-Game”. 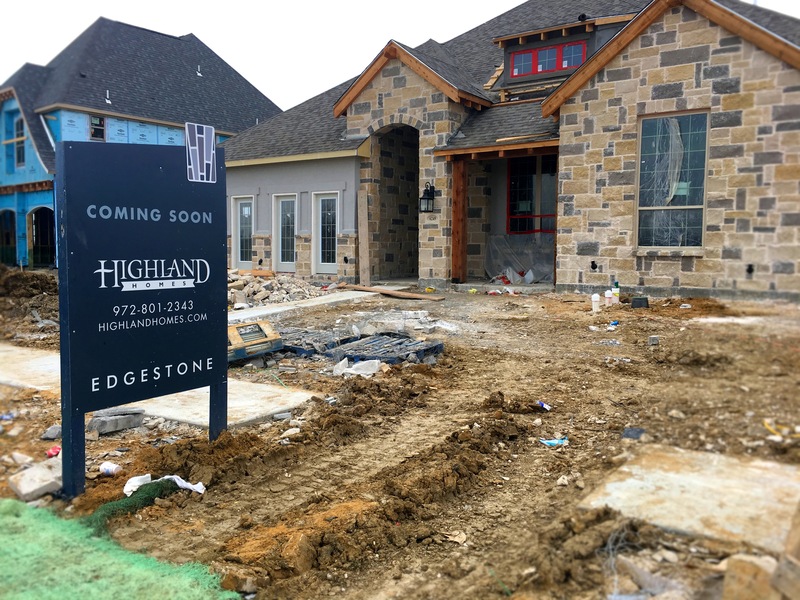 The Edgestone Highland Homes model is well underway and it is STUNNING! 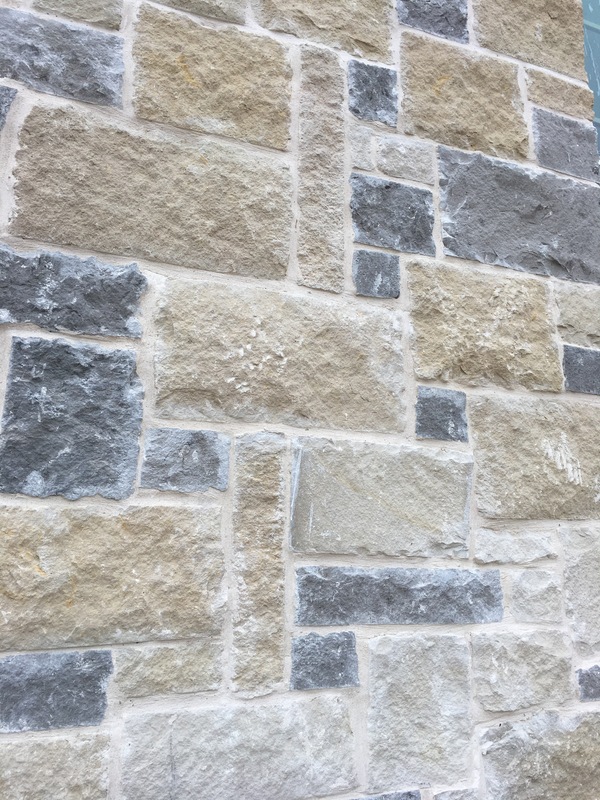 Look at this gorgeous stone accent exterior that encompasses the community of Edgestone perfectly! 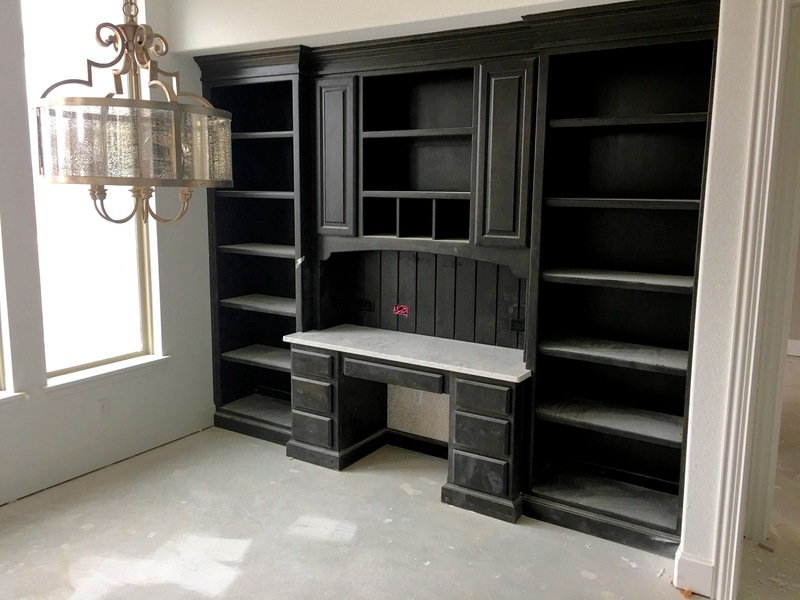 Dark built ins and rustic, traditional light fixtures. Would you love to have this in your kitchen nook area? – Ummm, yes please! 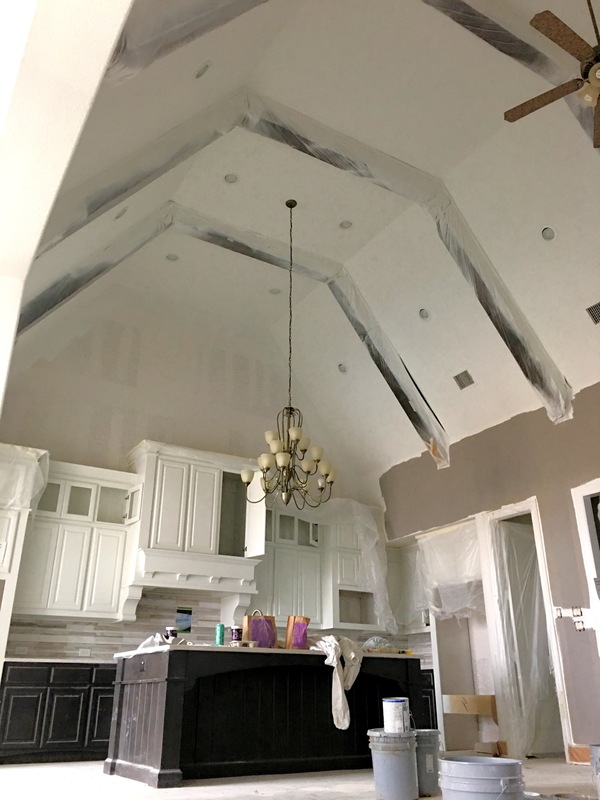 Family Room & Kitchen, simply put, is AHH-MAZING! 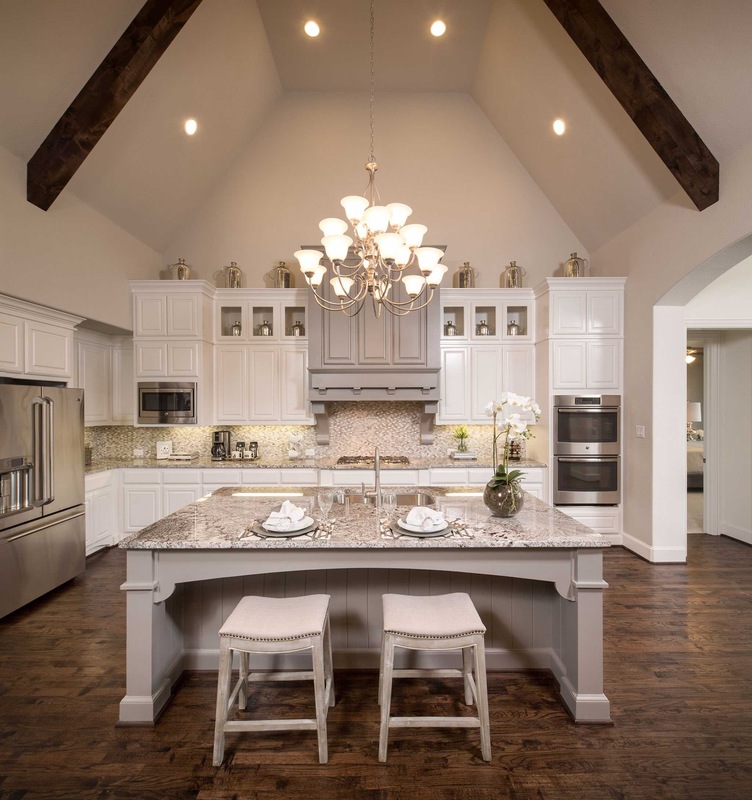 Contrasting island and cabinet colors along with wooden beams! These outstanding homes will be super popular in this community. In fact, with a price tag starting in the $750s, Highland Homes will more than likely be starting their lot sizes on the 75+ foot lots. 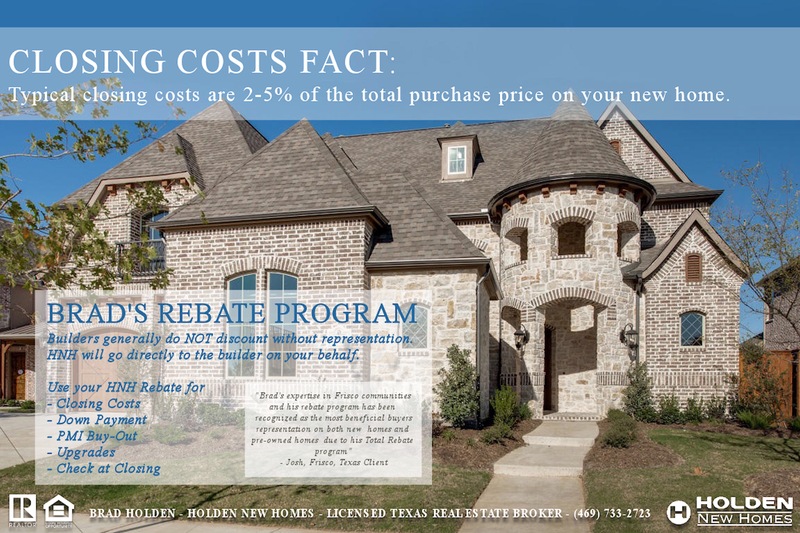 For more information on Highland Homes at Edgestone at Legacy in Frisco, TX, call or text me today at (469) 733-2723. What a pretty site to see! 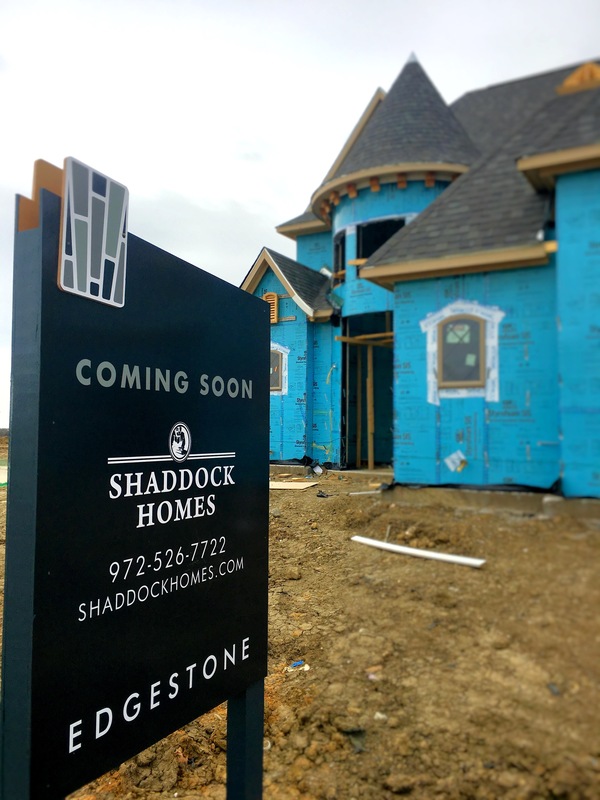 – Shaddock Homes model going up in Edgestone! Shaddock is one of my favorite builders and they will no doubt, set even new & higher standards in Edgestone! 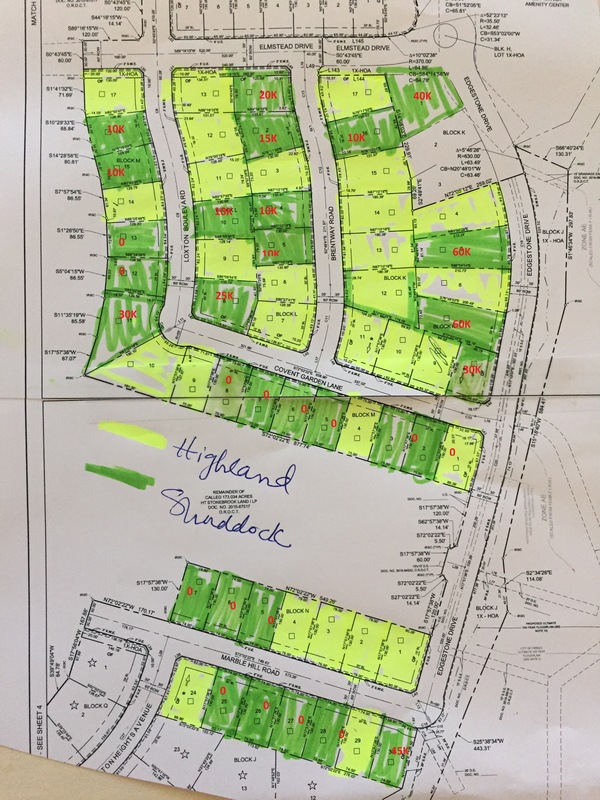 Both, Highland Homes & Shaddock Homes at Edgestone, have not released their floor plans for this community. – But they will be announcing soon! Don’t wait! 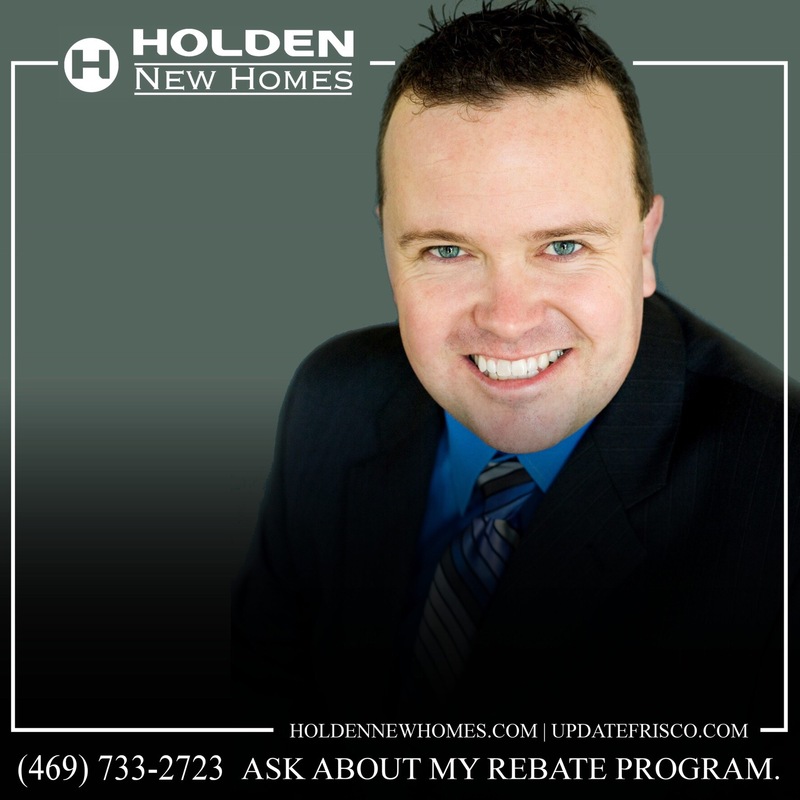 Text or call me today at (469) 733-2723, and let’s discuss the wonderful opportunities available to you in the soon to be SUPER PREMIER, GATED community of Edgestone! 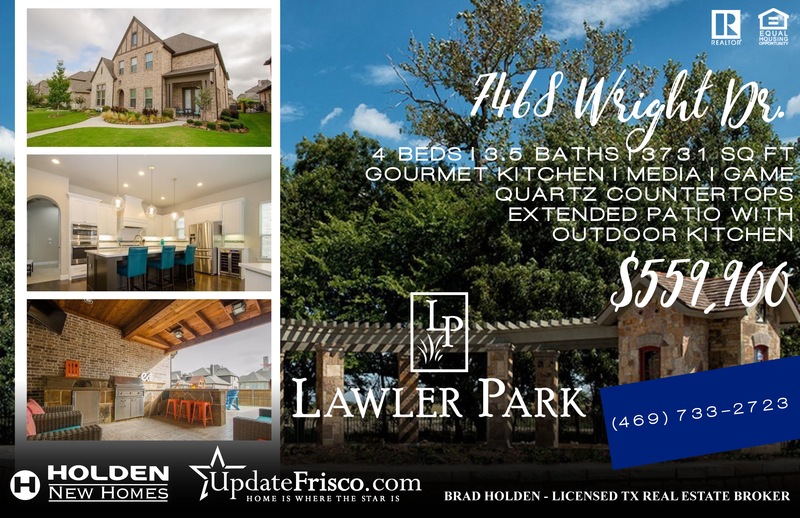 Lawler Park in Frisco has some GREAT Pre-Owned opportunities! 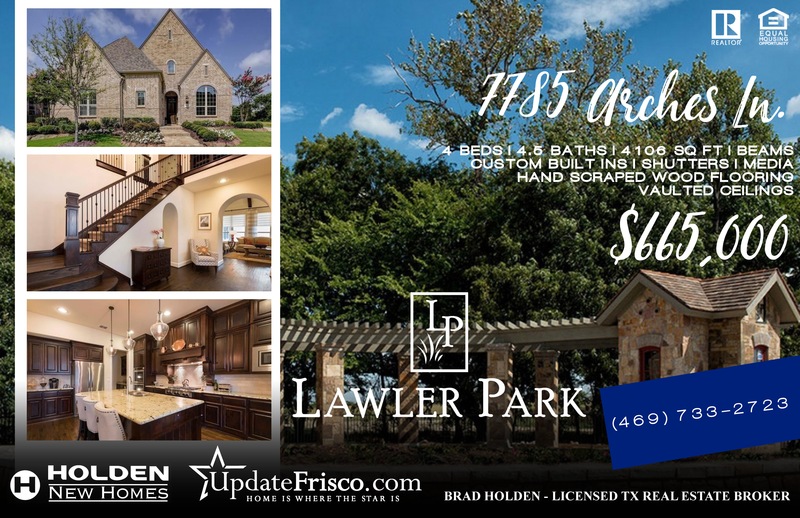 Here’s my current spotlight on pre-owned homes and it’s shining bright in the Frisco community of Lawler Park! These Highland Homes and Darling Homes are incredible! HOLDEN NEW HOMES DOES NOT REPRESENT THE SELLER ON ANY OF THESE HOMES. PLEASE LOOK THEM UP ON REALTOR.com FOR BROKERS NAME. 13712 Spring Wagon Dr. – Save the picture above to reference later, or give me a call or text (469) 733-2723 now and we can take a look at this Highland Home together! 7785 Arches Ln – Save the picture above to reference later, or give me a call or text (469) 733-2723 now and we can take a look at this Highland Home together! 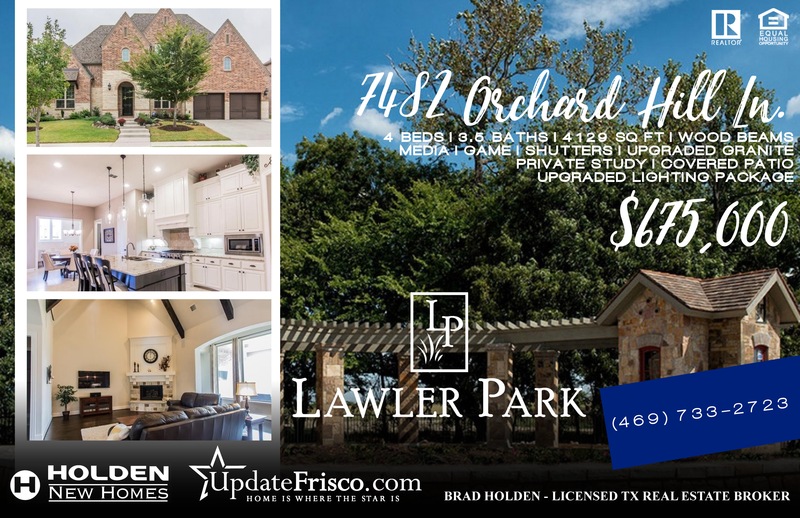 7482 Orchard Hill Ln – Save the picture above to reference later, or give me a call or text (469) 733-2723 now and we can take a look at this Highland Home together! 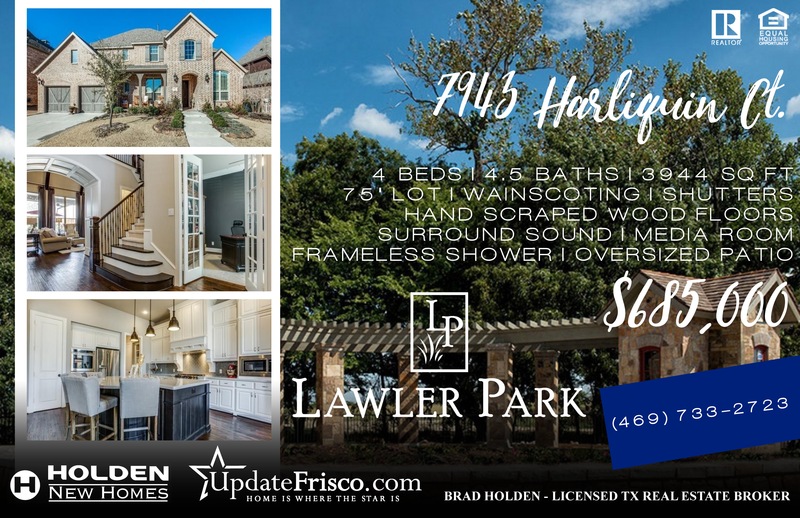 7943 Harliquin Ct – Save the picture above to reference later, or give me a call or text (469) 733-2723 now and we can take a look at this Highland Home together! 7468 Wright Dr – Save the picture above to reference later, or give me a call or text (469) 733-2723 now and we can take a look at this Darling Home together! 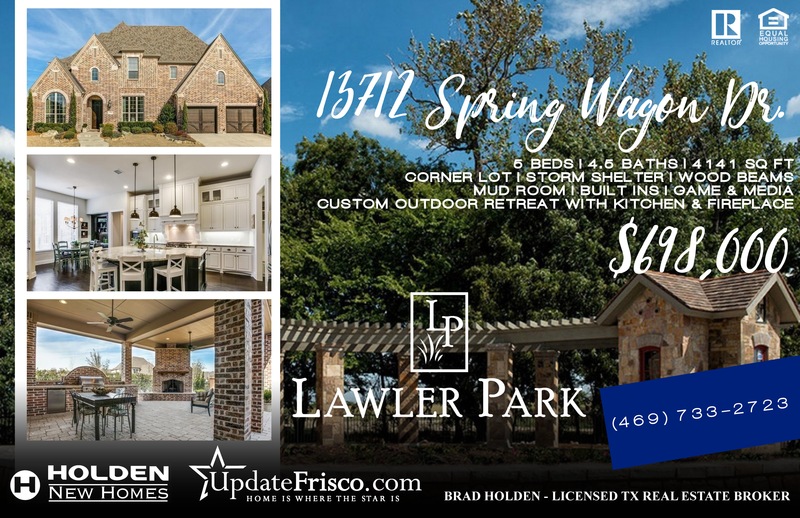 These gorgeous pre-owned homes in Lawler Park, Frisco, TX, will not last long. Call or text me today! 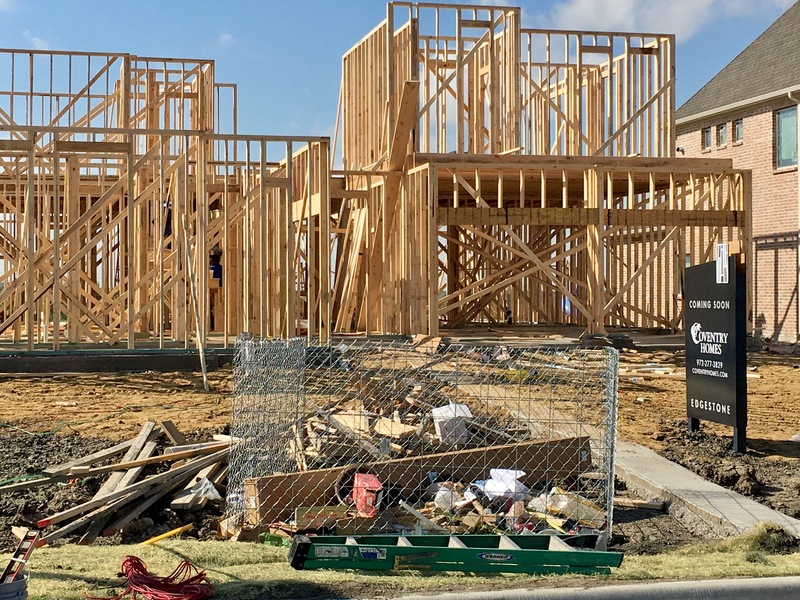 Hollyhock by Newland Communities in Frisco going strong! 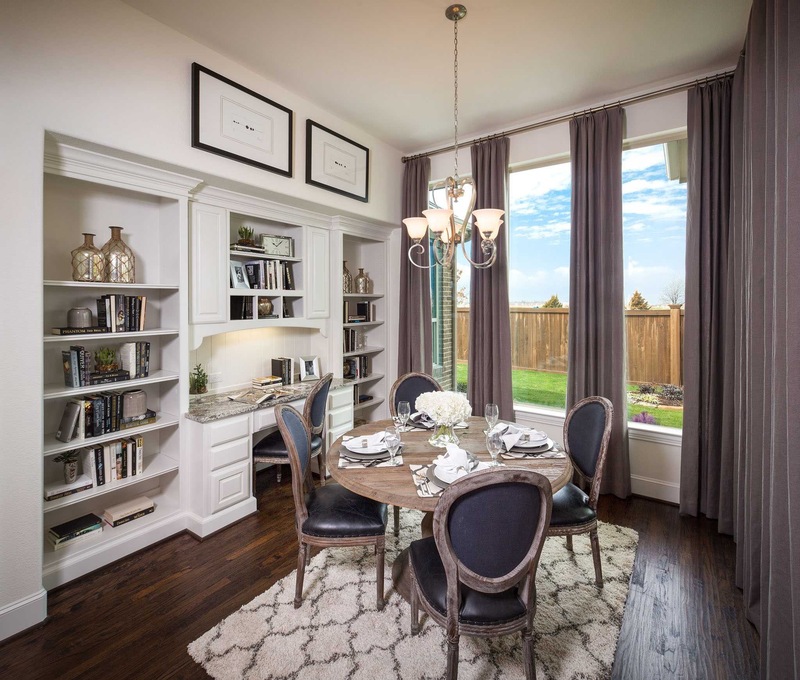 Hollyhock by Newland Communities in Frisco. 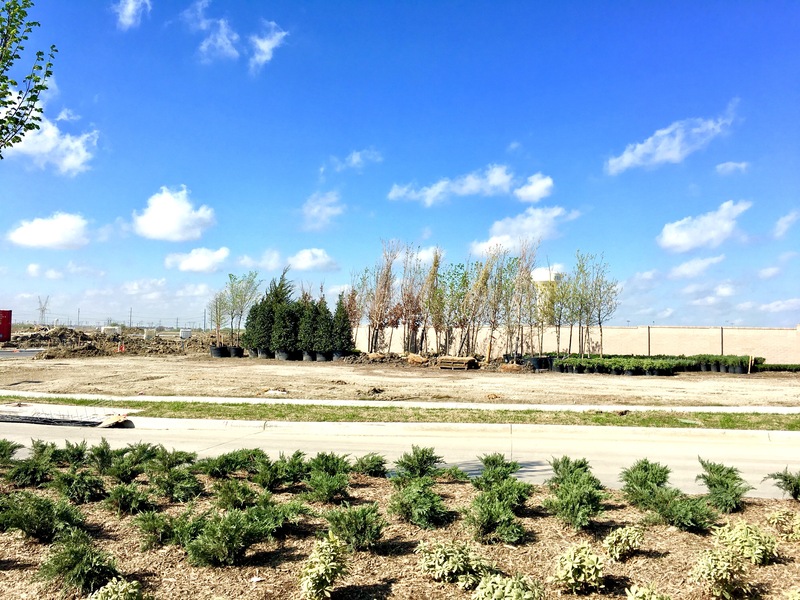 This beautiful new community in Frisco, TX, by Newland Communities is delivering on their promises! With resort style amenities against a wild, nature backdrop, this community has it all. 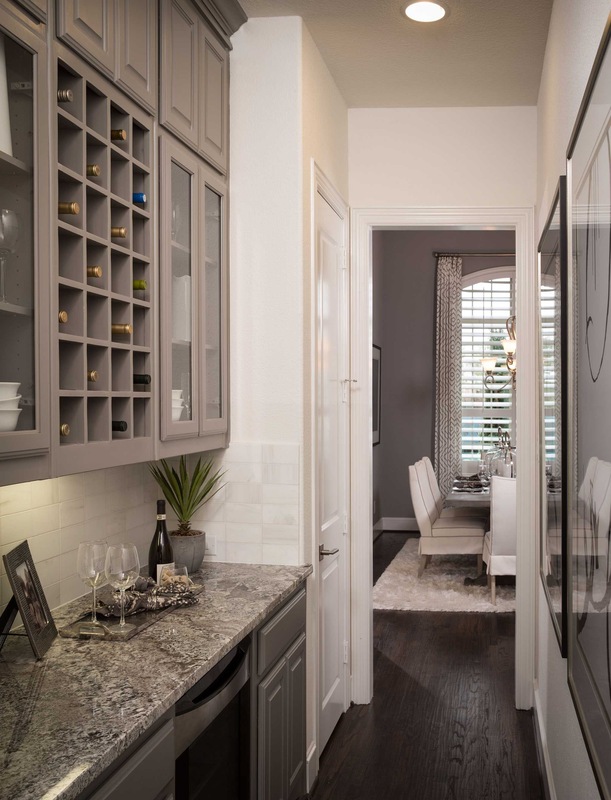 From top schools to top builders, you’re gonna want to check out Hollyhock today! 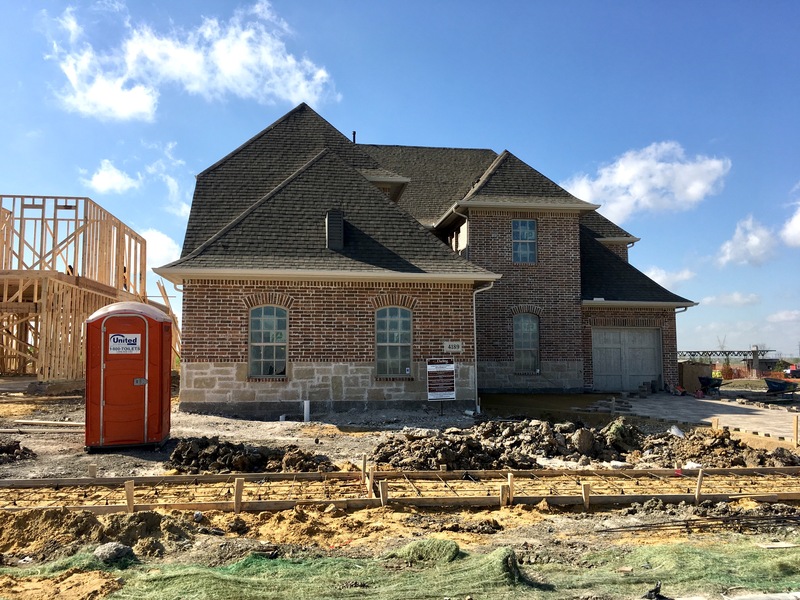 David Weekley Homes currently has 8 quick delivery homes for you to choose from. Ranging from 2500 – 3400 square feet, and price points of $460,00 – $540,000, you can feel confident in getting a quality home in a gorgeous community without breaking the bank! 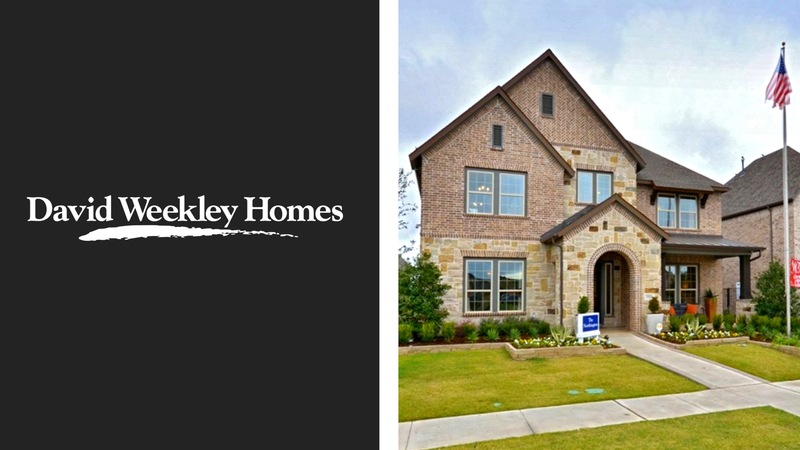 For more information on David Weekley Homes in Hollyhock, text me at (469) 733-2723. Highland Homes says it all. With stunning elevations and sleek interiors, quality builders like this make you feel comfortable, proud and safe. 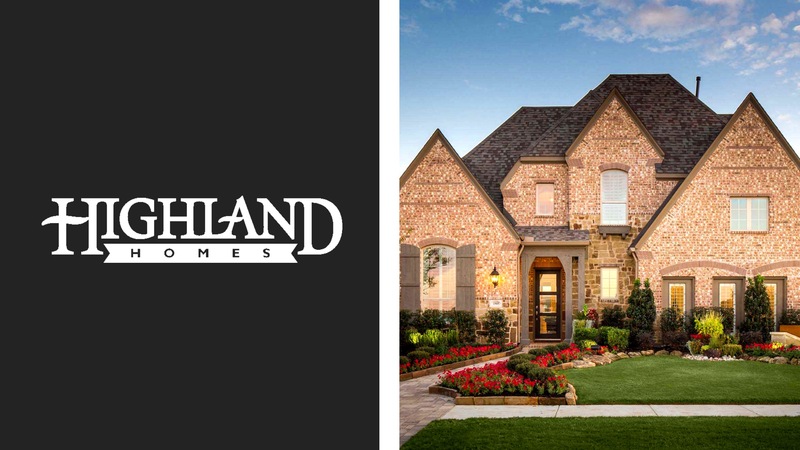 Highland has 18 quick delivery homes ranging from $580,000 – $800,000+. They offer 65 and 75 foot lots. 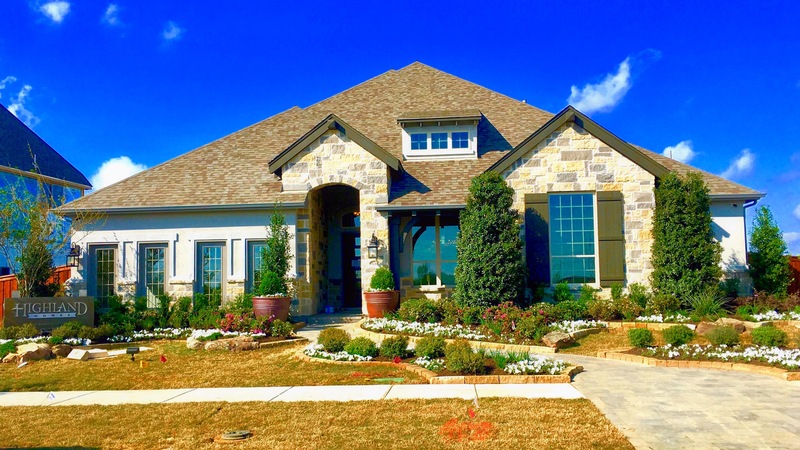 For more information on Highland Homes in Hollyhock, text me at (469) 733-2723 today! 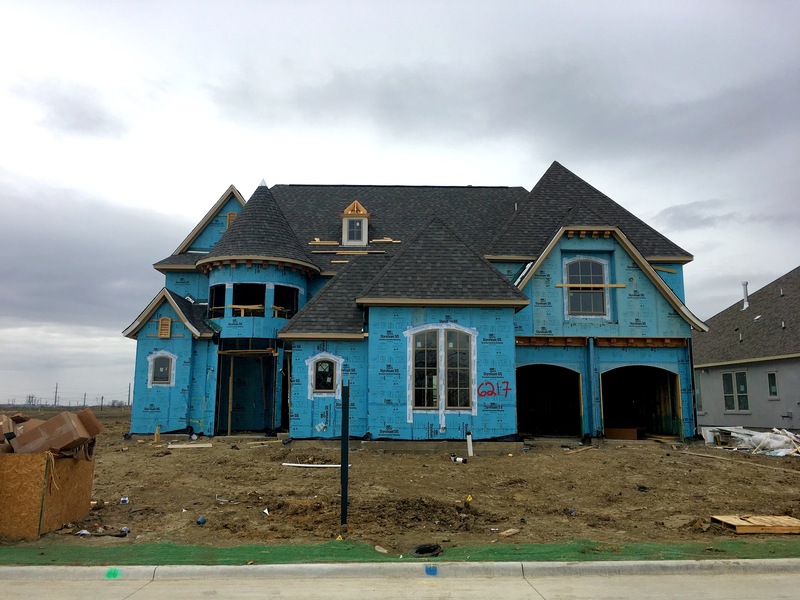 Known for custom styles and eye catching exteriors, Drees Custom Homes caters to your wishes. 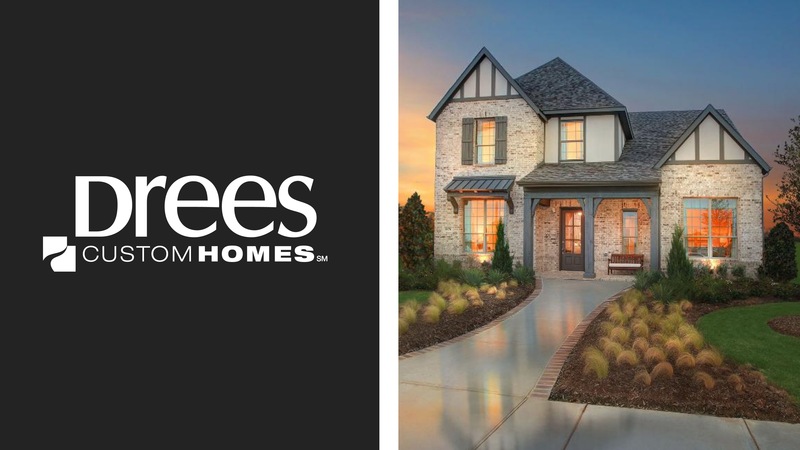 Currently, Drees has 4 quick delivery homes, ranging from 3100 – 3700 square feet and $499,990 – $530,000. These homes will go quickly, so hit me up today! 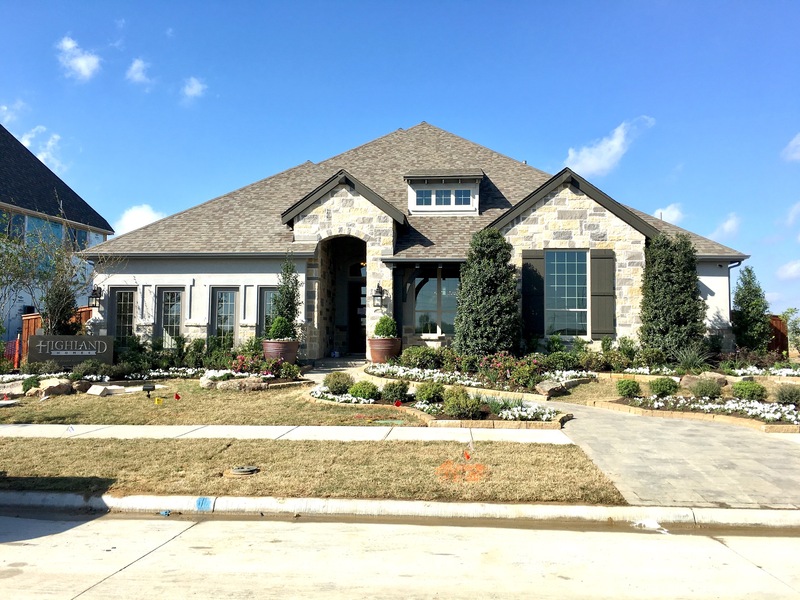 For more information on Drees Custom Homes in Hollyhock, text me at (469) 733-2723! 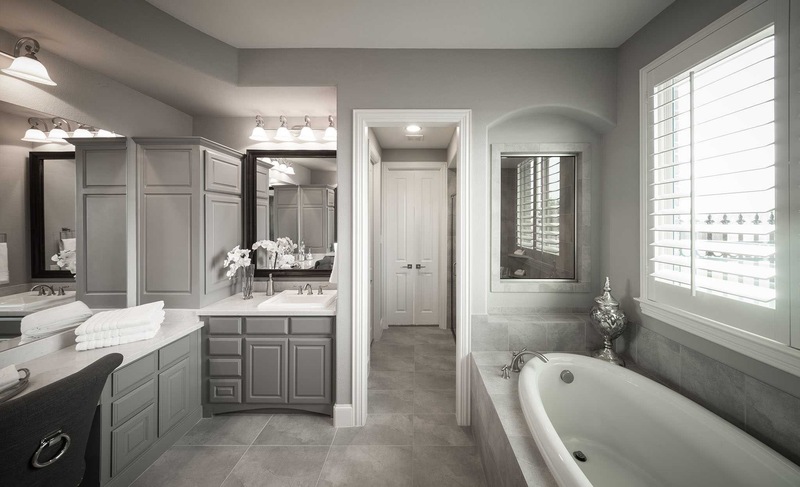 Another top notch, luxury builder that is coming on strong in Hollyhock, is Coventry Homes. With 5 quick deliveries ranging from 2800 – 4000+ square feet, and $600,000 – $660,000, Coventry offers something for everyone! 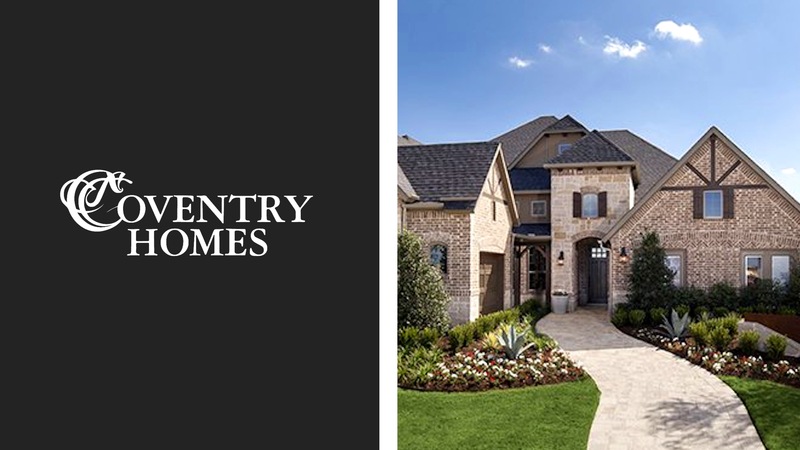 For more information on Coventry Homes in Hollyhock, text me at (469) 733-2723! 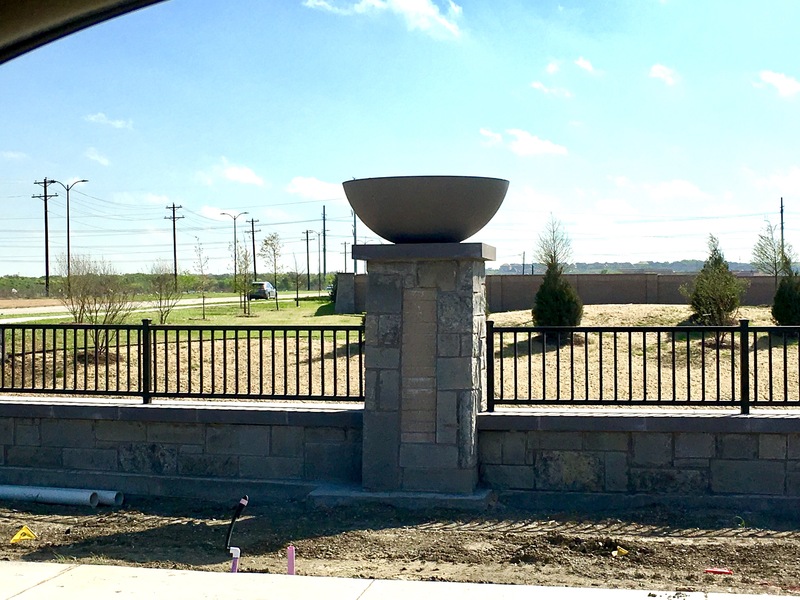 Rounding out this incredible community is Britton Homes. 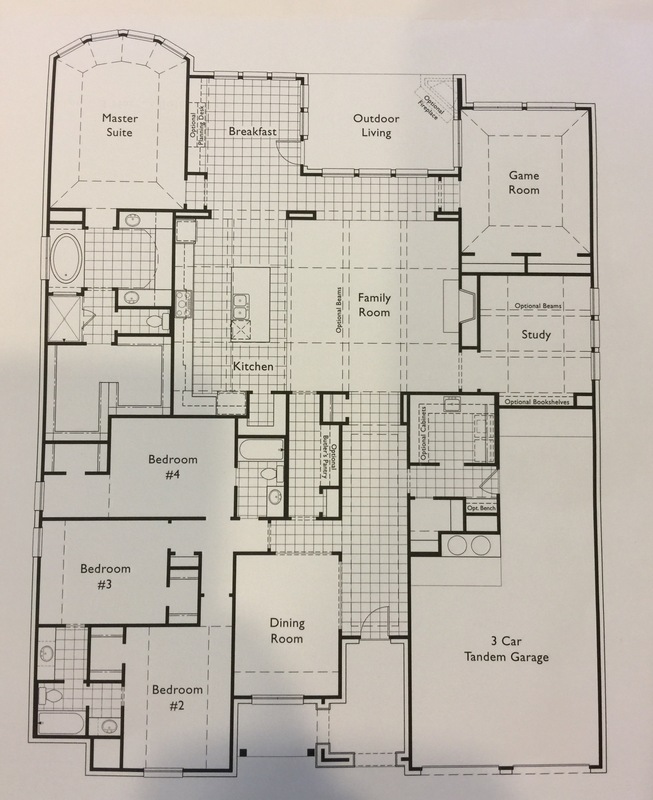 Sophistication, elegance and incredible elevations, make this builder stand out strong! With square footage from 4200-4500 square feet, the 4 quick delivery homes to choose from will go fast! 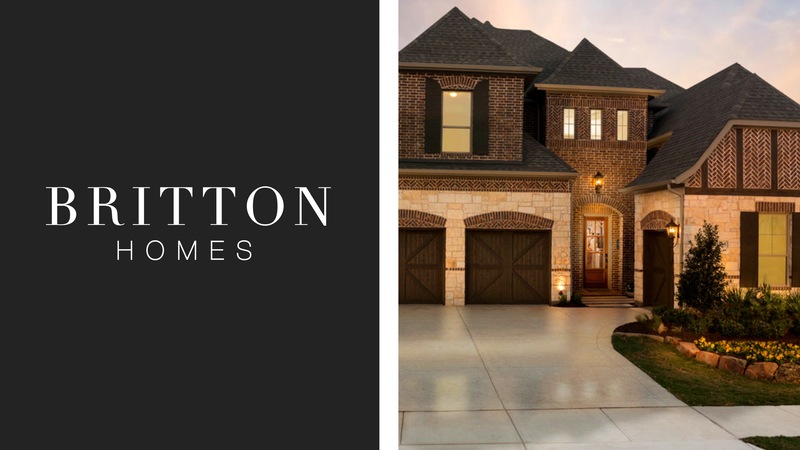 For more information on Britton Homes in Hollyhock, text me at (469) 733-2723 today!